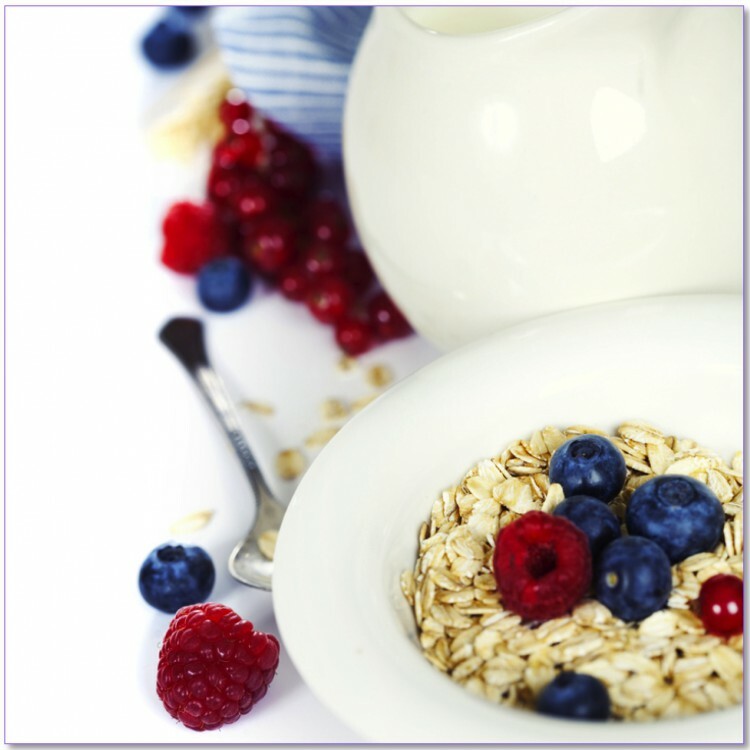 Home | Blog | Are you getting enough fibre in your diet? Have you heard about the importance of getting enough fibre in your diet? Yes, it’s an oldie but a goodie and so important. Did you know that getting enough fibre in your diet can decrease your risk of bowel disease and cancer, improve your cardiovascular health, help with maintaining a healthy weight and most importantly, make it easy for you to enjoy a daily ‘poo’! Constipation and other bowel disturbances can be rather uncomfortable and I don’t know about you, but passing a nice big bowel movement every day is very satisfying and improves my mood (sorry if this is too much information…). Feeling ‘backed up’, bloated and experiencing tummy pain due to not getting enough fibre in your diet is not a nice feeling at all. Check out my article 8 Non-laxative ways to get the bowels moving if constipation can be a problem for you and lets get things moving again. One important role of fibre is to create a bulky stool. Because it’s indigestible and goes straight through us it gives the body a mass to help move non-useful foodstuffs or toxins out of the body. A larger mass passes through the intestines much easier than smaller masses and thus fibre helps the body eliminate toxins and other carcinogens quickly and easily. The longer these nasties stay in your intestines the more damage they can cause. Getting enough fibre coupled with drinking plenty of water also helps with quick, easy elimination as well as helping you feel full after a meal. The fibre absorbs some of the water, another way it creates a bulky stool and is why high fibre foods will fill you up quicker than lower fibre foods. Adequate fibre in your diet has also been shown to improve your body’s cholesterol levels decreasing your risk of heart disease. It binds to cholesterol in the digestive system and carries it out of the body. Finally, because fibre helps keep you full and and high fibre foods are less energy dense then lower fibre foods, a high fibre diet is fantastic for weight loss. Legumes – chick peas, lentils etc are fantastic sources of fibre and are a good source of protein and healthy carbohydrate. Beans – baked beans, kidney beans, soy beans etc are a fantastic sources of fibre as well as protein and healthy carbohydrate. Grains - whole grains are also a great source of fibre as long as they are not highly processed. Wheat, corn, barley, rye, quinoa, oats rice are all good sources of fibre as long as you are choosing products such as wholemeal bread and pasta, brown rice and rolled oats etc. Choosing high fibre foods will automatically mean that you’ll choose healthier foods. Processed foods such as pastries, biscuits, crackers, chips, cakes, lollies, fried foods and other highly processed products contain very little or no fibre at all. Unprocessed, fresh whole foods like the ones listed above are all fantastic sources of fibre as well as other nutrients such as protein, vitamins and minerals. How do I ensure I’m getting enough fibre? It’s recommended that we aim to eat 25-30g of fibre per day. It’s pretty easy to ensure you are getting enough fibre everyday. The best way to ensure an adequate intake of fibre is to aim for the Australian Dietary Guidelines recommendation of 5 serves of vegetables and 2 serves of fruit in your diet every day. Then, aim to eat one serve of high fibre carbohydrate at each meal and you’ll add another 10-15g into your day and you’ve made the daily quota. Here’s an example meal plan which will ensure you are getting enough fibre. How do I know how much fibre a product has? All processed foods must contain a Nutrition Information Panel which outlines the basic nutrient content of the food. It’s not compulsory for manufacturers to have fibre in this panel unless they’ve made a nutritional claim about fibre on their packaging. A product that provides 3 or more grams of fibre per serve is a pretty good benchmark to main for and comparing the fibre content of different brands is a great way of making the best choices for certain foods, particularly products such as muesli bars, breakfast cereals, crackers, breads, rice and pasta. This great website www.calorieking.com.au has a large data base of Australian foods and can help you with the fibre content of some foods if you’re not sure. You can also ask me a question to do with nutrition topic that’s specific for you and I can provide you with a detailed, tailored answer specific to your situation. Take 5 minutes next time you’re planning your shop or your food for the day and think about what you can do to ensure you are getting enough fibre in your diet … your body will thank you! I would have thought I got enough fibre, but reading this, I need to make some adjustments. All good tips in this article, fibre is very important! im not sure about this one, I hope so! I need to add more fibre into my diet so thanks for the list of foods I should be increasing. What would you alternate with the nuts for someone who doesn\’t like nuts please? Would plain popcorn be ok instead? Lots of high fibre foods on this list that I love. Thanks again; this article has been very helpful. Thanks for sharing this article; very helpful tips and meal plan.